TV’s Wheeler Dealer Opens Bramall Lane Showroom | IT'S HAPPENING IN HEELEY! One of the UK’s most well known car dealers – TV’s Mike Brewer – will launch his first ever high street dealership today on Bramall Lane. 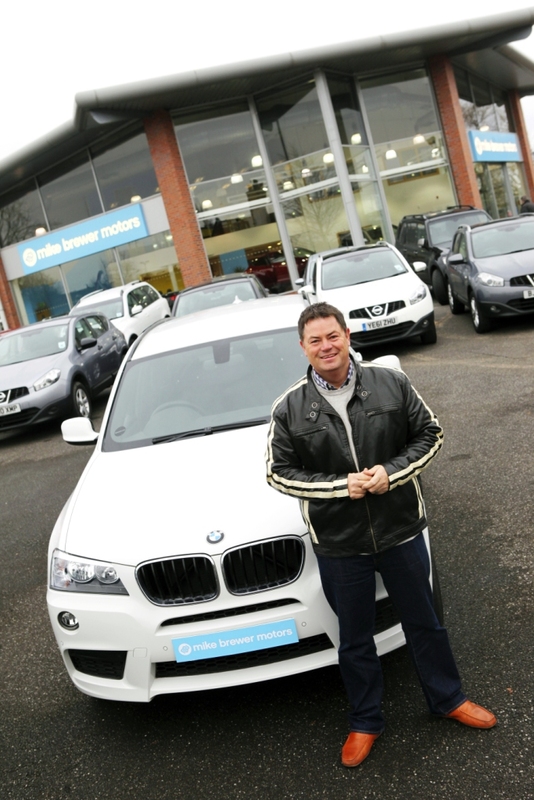 The Mike Brewer Motors showroom, which will create 20 new local jobs, will offer car buyers the same honest and friendly style seen on Mike’s shows. Mike has presented Channel 4’s Driven, and is currently presenter of Wheeler Dealers, which is shown on the Discovery Channel and has become a global hit. After road testing Mike Brewer Motors in Sheffield, Mike and his team plan to roll the brand out across other UK locations. “After looking at various cities, we chose Sheffield because of its vibrancy and business potential, as well as the brilliant facilities at the Bramall Lane site,” said Mike, whose 10th series of Wheeler Dealers will air next month, along with his new series Wheeler Dealers Trading Up, which sees Mike trading cars across the world. “I’m really excited to be returning to my true passion of car trading, and the whole team is looking forward to working with the car buyers of Sheffield,” he said. A wide range of cars, from family saloons to prestige motors will be available at the dealership. The showroom will officially open with a launch party tonight, and will be open to the public every day of the week from tomorrow. Mike has also appeared on the Discovery Channel’s Frontline Battle Machines, filmed in Afghanistan, as well as Wrecks to Riches, Auto Trader and Pulling Power. Visit www.mikebrewermotors.com for opening times and for more information about Sheffield’s Mike Brewer Motors, or telephone 0114 2506080. Mike can be followed on Twitter on @mikebrewer.